Frugal & Fabulous: Review: SexyCostumes.com ! I love Halloween. It's the one night a year this 20-something can wear glitter and fake eyelashes - without looking like I'm going to a rave! And what's more fun than getting dolled up?! I was recently given the opportunity to review this adorable Women's Top Gun Flight Costume and it is cute! I'm really picky about Halloween costumes - and have been known to spends hours searching for the "right" one. 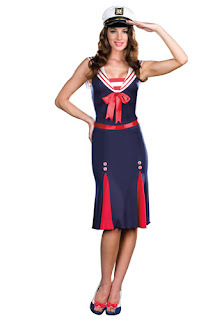 With Sexycostumes.com, finding the perfect costume was easy! I looked through their site, flipped through a couple of categories and within minutes I had the perfect costume! The Top Gun Flight Costume was actually pretty authentic looking. It has the look of a flight suit, but it's fitted and flared to give it a girly edge. The dress came with interchangeable patches with the character's names for the movie (Maverick & Goose). I thought this was really fun! I liked this costume because it fit really well (it comes in sizes small, medium & large) and it looked pretty realistic. The fabric was soft and the costume had a rugged tough girl kind of feel to it. I liked the way I felt when I wore it and how I looked in it. Also, the shipping was really quick - the costume came to me within a couple of days! 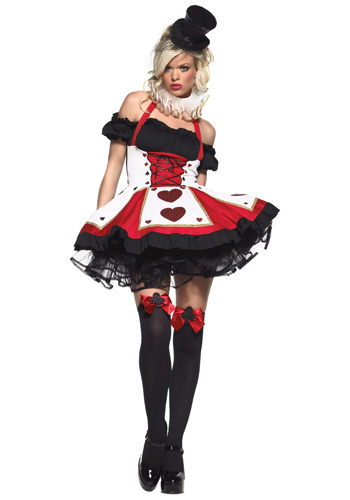 I love SexyCostumes.com because they have some really unique costumes that I haven't seen in other stores. They also had lots of different options for each costume theme. For instance, if you look for a "cop" costume you'll have 15+ options in different styles. I really enjoyed the variety. They also had a wide range of great vintage looking/ pinup style costumes that were suggestive without being over the top. Sexycostumes.com is my choice for fun, high quality costumes that won't break the bank!